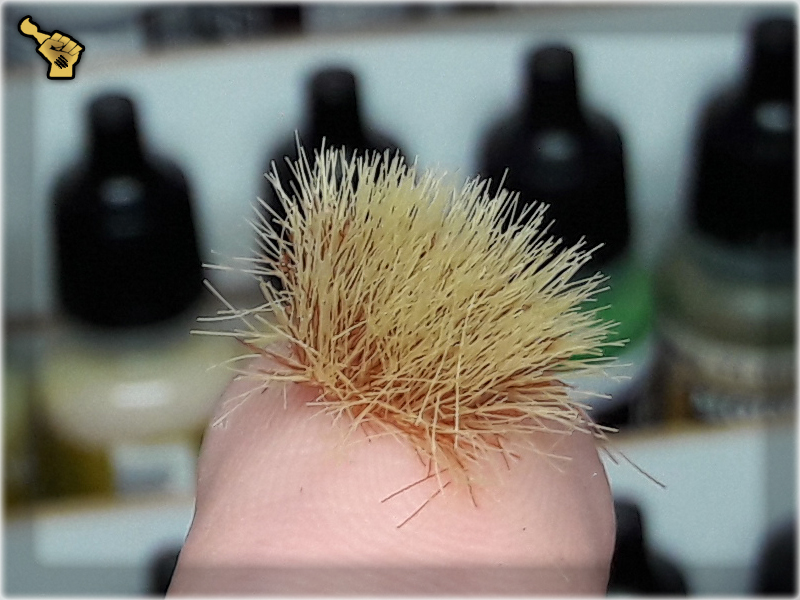 The Army Painter – a worldwide supplier of hobby products, such as paints, colour primers, glues, brushes, tufts and well… fck’n barbaric ‘Quickshades’. 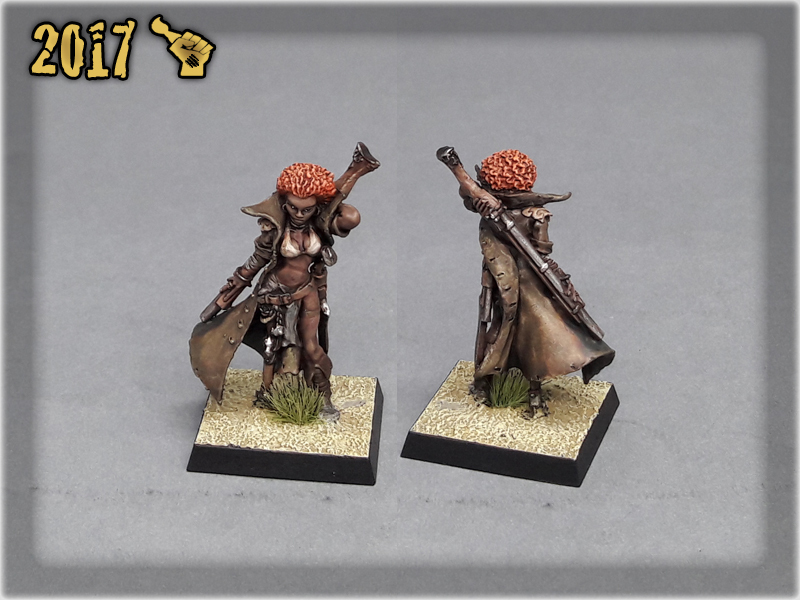 The company entered the market in 2007th introducing a medium sized offer of hobby products meant, as the name suggests, to paint entire armies. My personal adventure with Army Painter started pretty early, as I was a hobby store manager back in the days they’ve appeared. 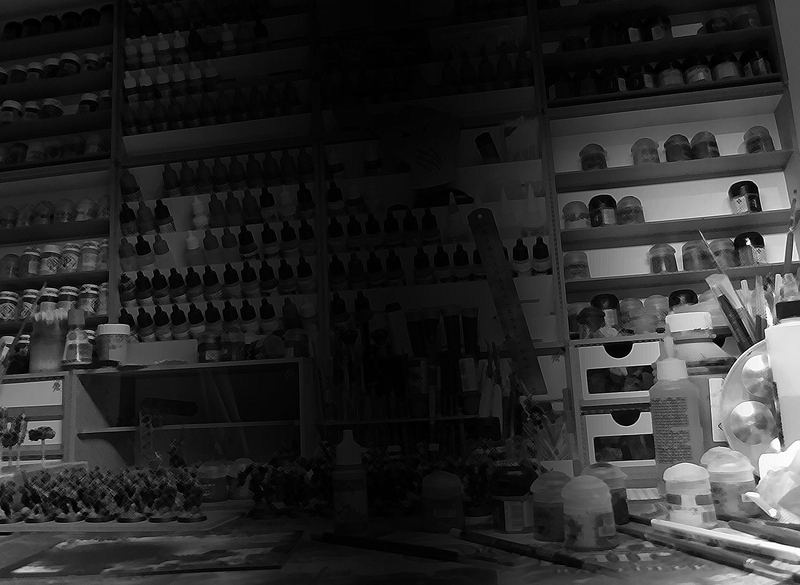 Easy to say that throughout ten years I had a pleasure of getting to know their entire range to a point, where Army Painter’s products had no secrets from me. Since 2007 the Army Painter’s offer had grewn potentially expandindg their paints range more than thrice and introducing some revamped products as well. This brings even more opportunities to get to know some new cool stuff. Washes Warpaints, love them, old Games Workshop’s washes 100%, Strong Tone INK = Devlan Mud etc. Metallic Warpaints, again love them, old GW’s ripped off 100%, they even taste the same and I will always use them! Basic colours from Acrylic Warpaints, 18ml of white/black priced 25% cheaper than 12ml GW’s? Count me in! 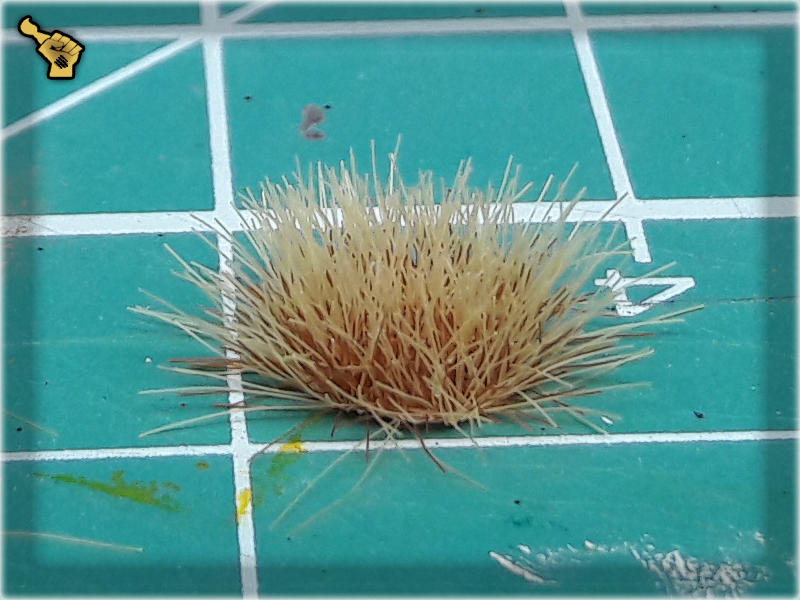 Miniature & Model Super Glue, best in the world, I love it, it’s my favorite hobby product – ever. Quickshades, such barbarism… just watch THIS and frankly: die laughting (and I’ve tested them thoroughly). Battlefields flocks and basings, reminding me of the old guys modelling trains, not nowaday’s quality, nor price. Brushes, which are ok, but such quality comes waaay cheaper where I’m from. 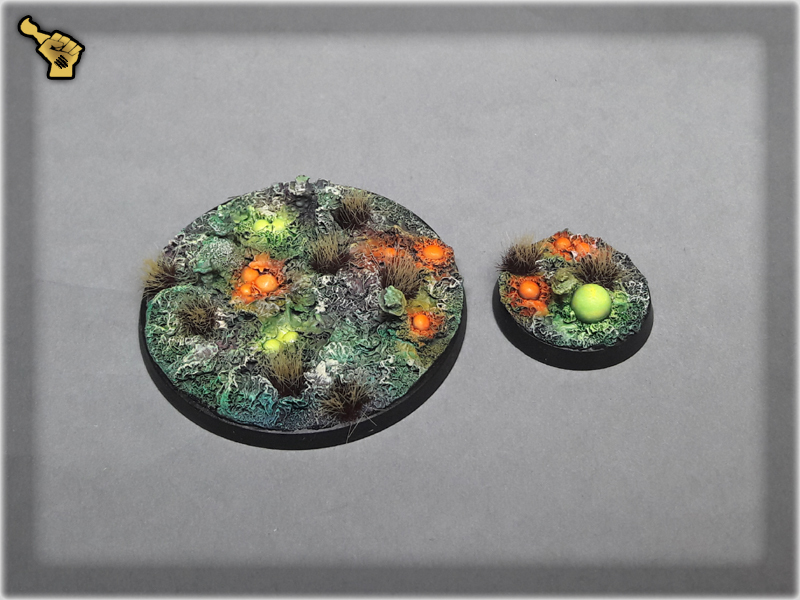 Colour primers, varrying from awesome to utter crap. 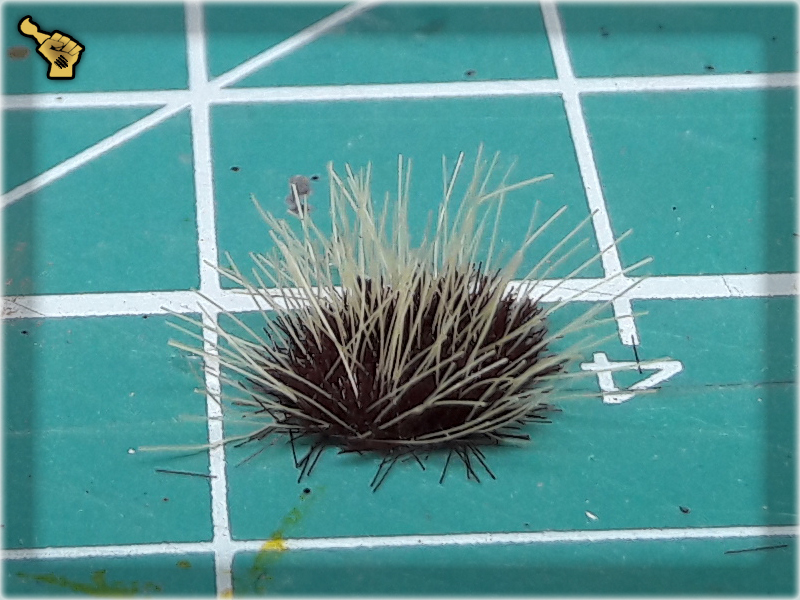 Atop of all the above they also produce Hobby Tools, different glues, paints, Licensed Warpaints and Battlefields XP Tufts – and today I would like to take a closer look at the latter. For me the most important trait of a product is the quality. There’s plenty of products priced closely in the market, but among them there are some which exceed in quality. That’s where I aim, when deciding if I should purchase a range of particular products or not. 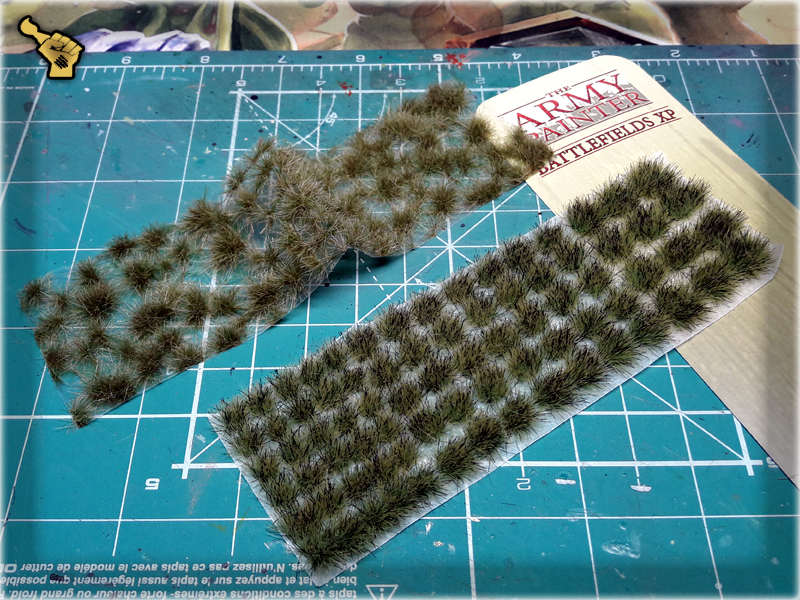 In case of Army Painter’s Battlefield XP Tufts I used them for a very long time due to easy access and limited competition. Back in the days I wasn’t entirely happy with the AP’s tufts, as their quality varried between good and very bad. 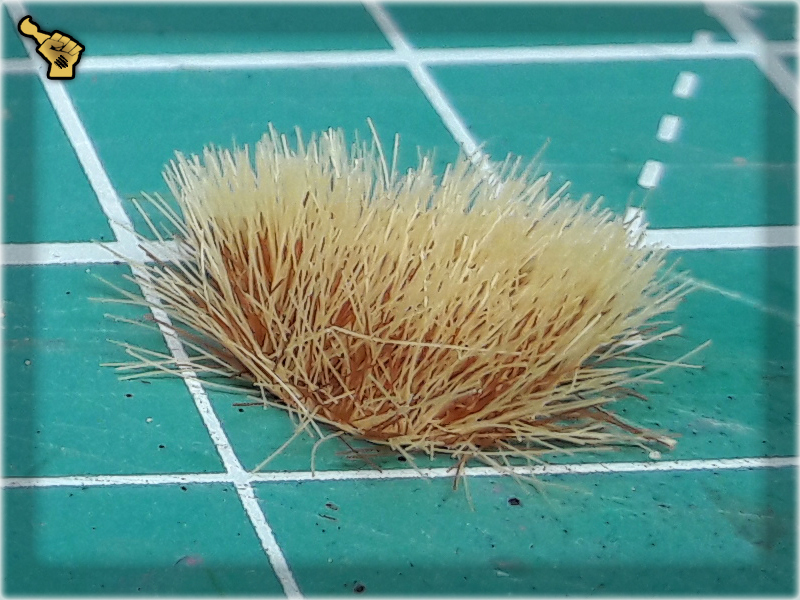 Old tufts were applied randomly, rendering a significant part of the product useless, be it due to not enought material being used or some tufts being applied to the fold in the foil, they came attached to. New tufts in the contruary, are applied selectively, numbering the exact 77 ideal pieces in a straight raws and varrying in shapes and sizes. This makes the new tufts superior to their previous incarnation and most of the current competition in the market. One might say that they are as close to being perfect as possible. Jokes (or not) aside, I miss the old Swamp Tuft’s strong green colour, not to mention old Winter Tuft. I do hope that with all the new designs and revamps you will bring more tufts to the fold and fill the void in my heart. 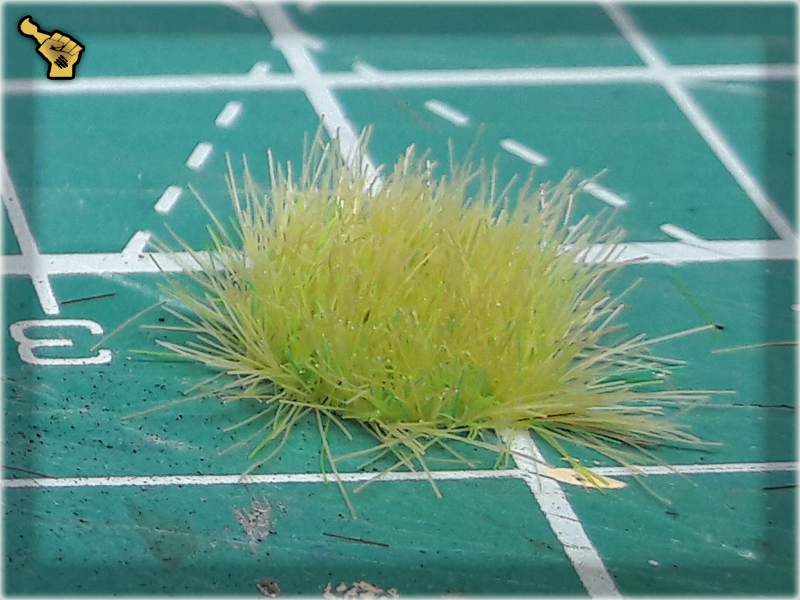 Either way – be it mixed or solo, all the new Tufts look very good. 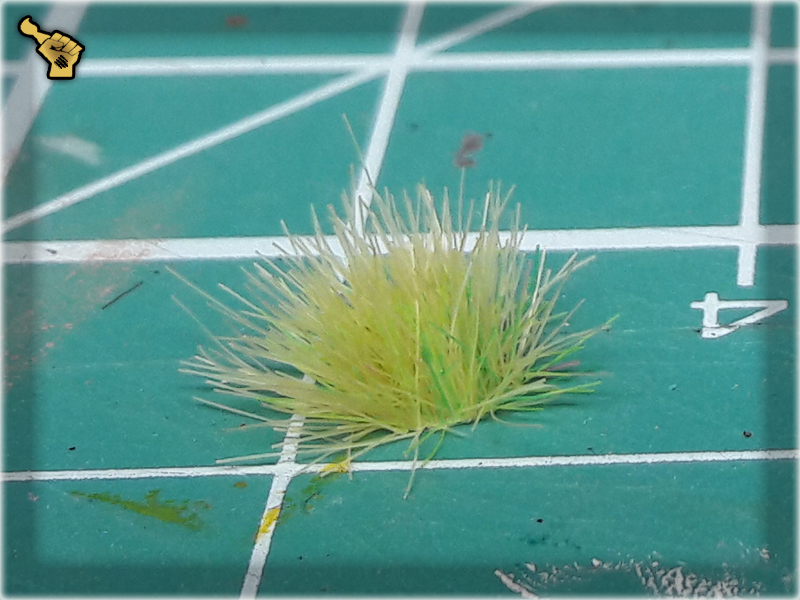 I have the exact zero issues with new Army Painter Battlefield XP Tufts. They come in perfect shapes, hair held firmly in the adhesive base. 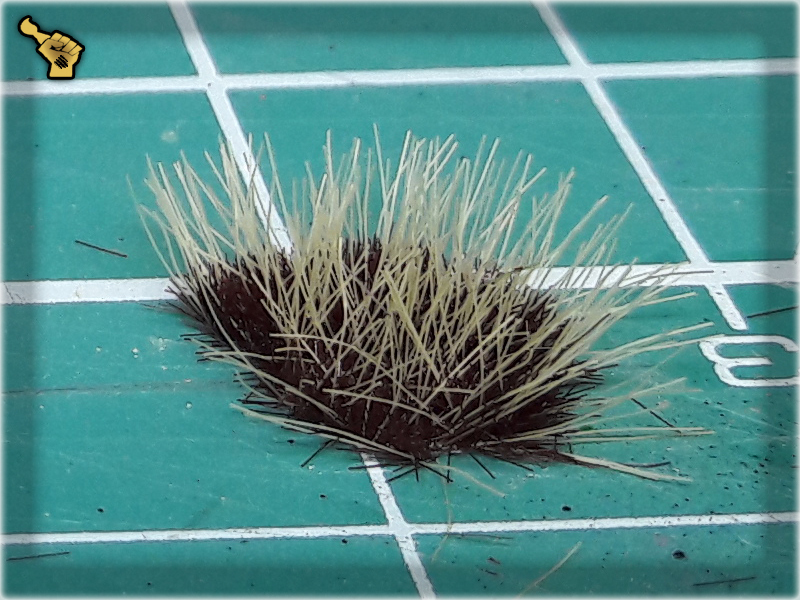 All hair are pointed upwards and on the sides. Colours are mixed well and in some cases different colours are also of a different length. 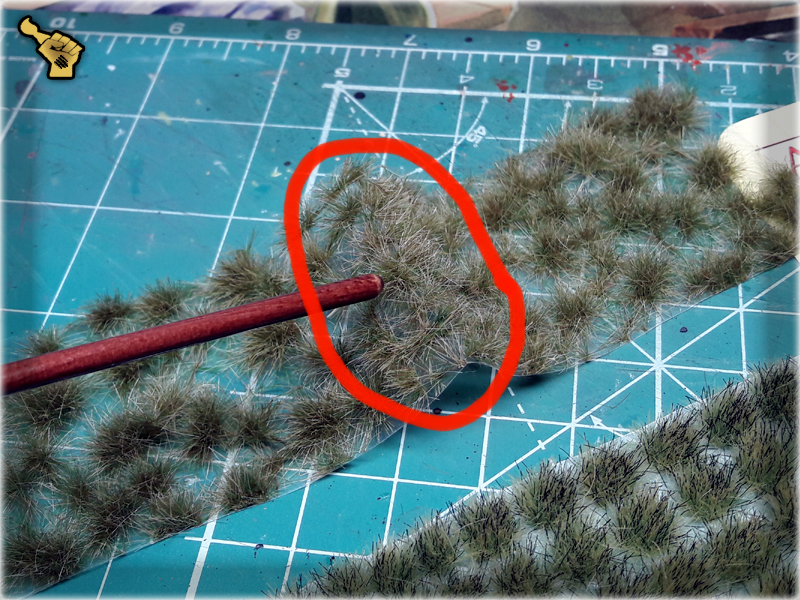 Being arranged in straight raws makes these tufts easy to grab, while adhesive base has enough glue to keep them in place once used. 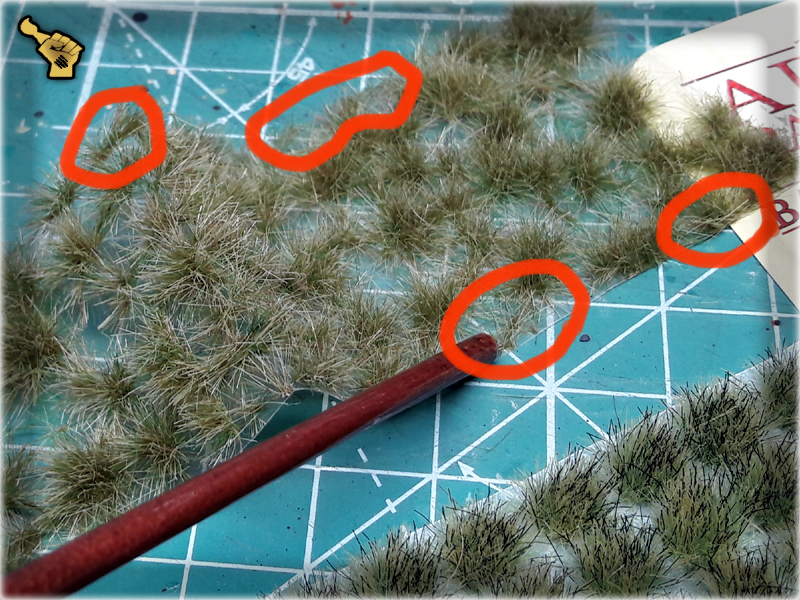 I have a little fetish of mine, tending to apply tufts over Super Glue and AP’s tufts behave very good when done so. 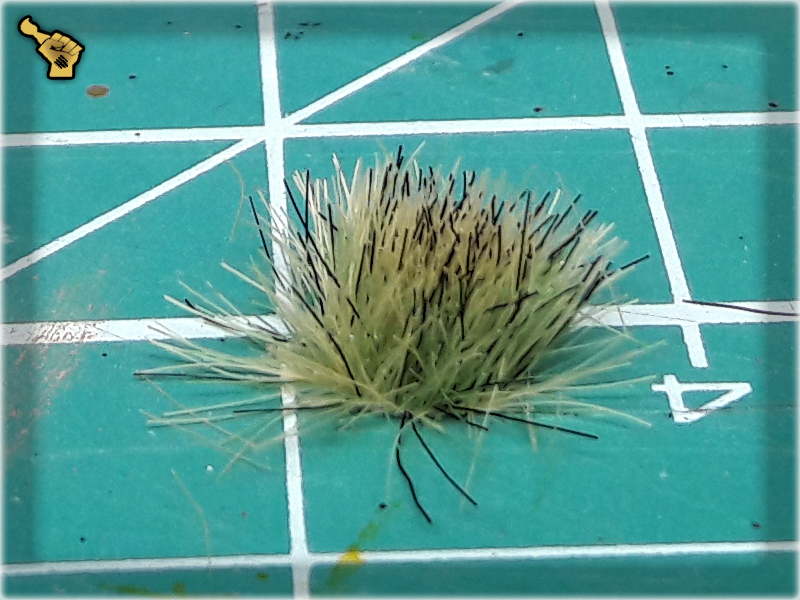 Army Painter’s Battlefield XP Tufts are very well priced. They are priced close to previously reviewed Paint Forge products, offering 77 pieces in a variety of sizes, including big ones. Would be awesome if they were cheaper, but that would be just too good, to say the least. 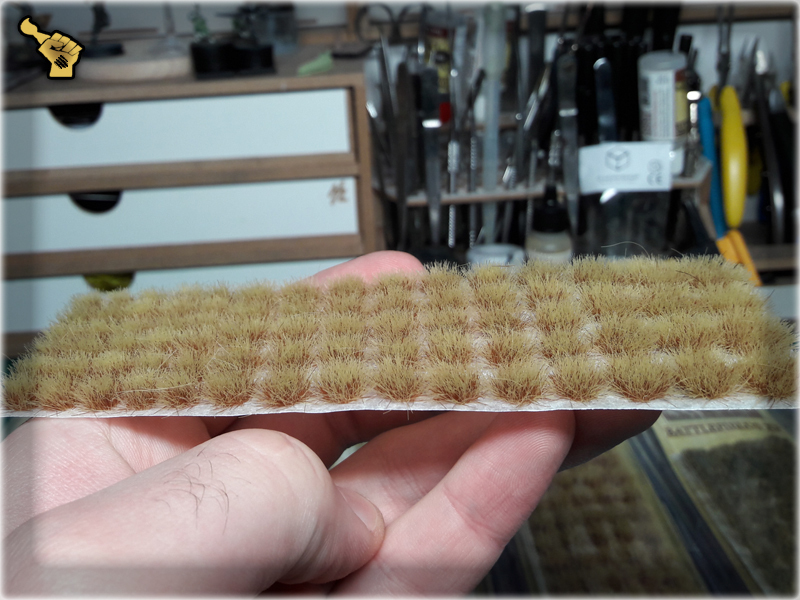 On a scale where 10 is awesome, 8 is good, 6 is ok, 5 is mediocre, 3 is bad and I don’t want to even mention 1 – I would give a solid 9 to Army Painter’s Battlefields XP Tufts. I had a strong need to give them a ’10’, but hey – they could’ve always been insanely underpriced didn’t they? he he he… Either way, they look cool, are very user friendly, easy to apply, of solid quality and come in a variety of colours – and yes, the price is exactly what I would expect of these. All in all I’m happy to finally be reviewing the Army Painter, with which I spent like ten years of solid painting by now. 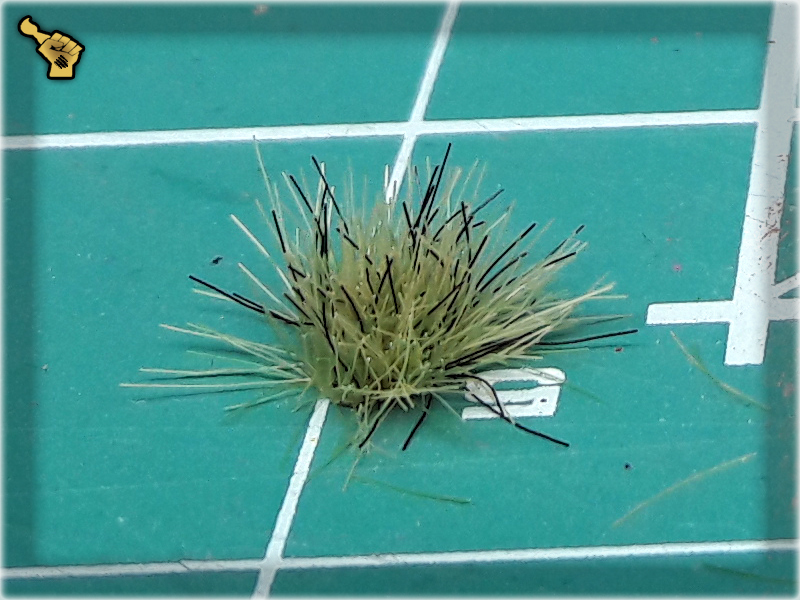 In my opinion some of their products are totally undervalued by hobbyists around the globe. 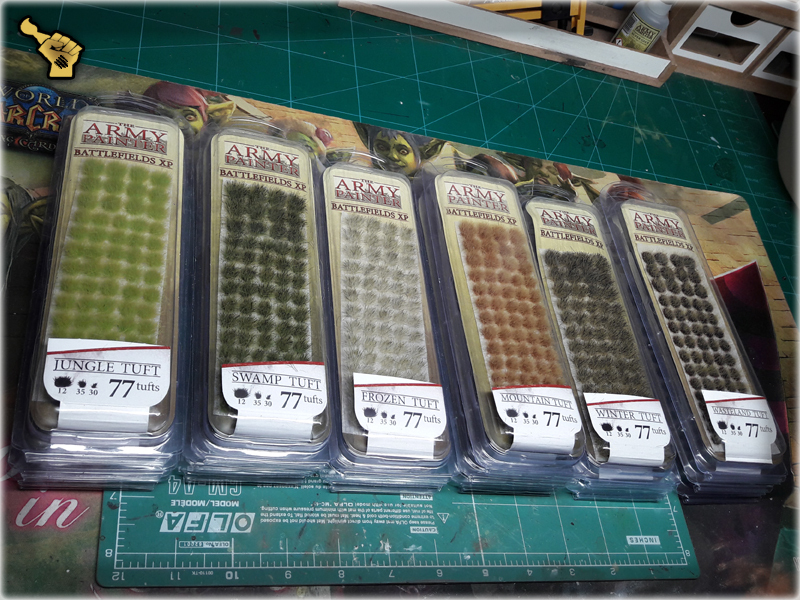 I plan to bring more AP’s products on to the review table in the future. Mostly, the ones I like to use and have plenty of, like Washes or the best of the best Miniature & Model Super Glue. Where to purchase? 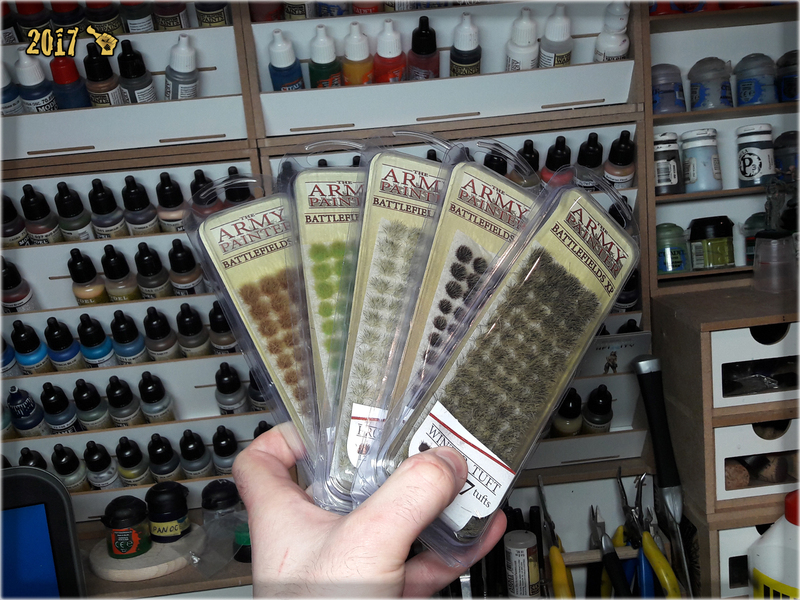 If you are lucky, then your local hobby store has some, but if not – go straight to the source at Army Painters Online store. If you happen to be managing a hobby store in Poland, then I strongly recommend you to contact THESE GUYS, they are very friendly distributors based here in Rzeczpospolita Polska.